Founded in 1998, Odyssea Marine Incorporated was organized to meet marine transportation needs of the oil and gas industry in the Gulf of Mexico. In 1998, Odyssea Marine Incorporated acquired the North Bank Towing Corporation of Berwick, Louisiana. In 2005, Odyssea Marine Incorporated expanded their fleet by acquring two 3,000 horsepower class tugs. The Caribbean Lady, and the Miss Goldie. 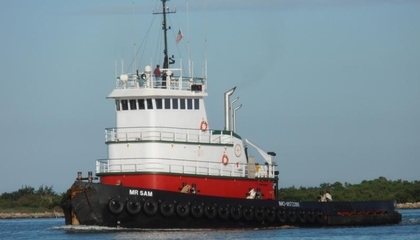 In January of 2006, the company diversified it's fleet with the acquisition of six supply vessels from Lytal Enterprises Incorporated of Lockport, Louisiana. The six vessels ranged in length from 135(ft) to 165(ft). With the addition of the vessels from the Lytal Enterprises fleet. Odyssea Marine Incorporated was organized into two operating divisions. The North Bank Towing Division was based in Berwick, Louisiana. With operational responsibility for tugs, towing, supply, with dive and construction support vessels. The Offshore Supply Vessel (OSV) Division was based in Larose, Louisiana. With operational responsibility for the offshore supply vessels. In 2006, Odyssea Marine their Offshore Supply Vessel Division with the acquisition of AMT Marine Incorporated Thibodaux, Louisiana. The AMT fleet added five, DP-1, supply vessels. Ranging in length from 150(ft) to 200(ft). From 2008 through 2014, Odyssea Marine Incorporated continued to expand their OSV fleet with various acquisitions of OSVs ranging from 165(ft), DP-1 vessels, to 265(ft) DP-2 vessels. The company's OSV Fleet eventually consisted entirely of DP-2 and DP-1 vessels. With vessels ranging in size from 265(ft), down to 165(ft). With drilling mud, bulk product, and deck cargo capabilities. In 2014, Odyssea Marine liquidated the Towing Vessel Division, to focus fully on the OSV segment of the industry.